Dual Action Machine Polisher For Professionals & Enthusiasts. FLEX rotary polishers have long been a favourite with professional detailers who appreciate their build quality and reliability, as well as their ability to get the job done! 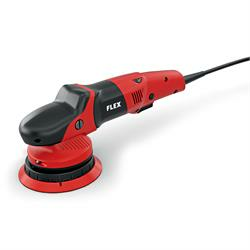 Now FLEX has released a random orbital polisher to complement their line-up. Solidly built, the combined circular and offset oscillation allows professionals and car care enthusiasts to correct paintwork quickly and safely. The VR microprocessor with tacho generator allows for constant working speeds, even when pressure is applied while tackling tough paintwork blemishes.